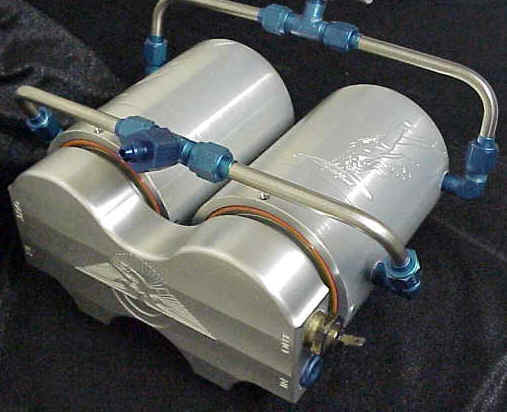 Dual remote oil filter & oil cooling system: filter system uses (2) Ford or Chevy type filters, and has (2) 1/2" NPT holes on each end for ease of plumbing & (2) 3/8-16 mounting holes. Cooling system: flows water around outside of filters to pull heat out of oil. Excellent choice for marine application. We make (2) versions of this Remote Filter Adapter one to fit Ford type filters which have internal relief valves & one to fit Chevy type filters which generally do not have internal relief valves. Oil Cooling Canister: fits around oil filter forming a water jacket to circulate water through, lowering oil temperature. this low-cost device can save you hundreds of dollars on engine repairs, it's like adding any other oil cooler ONLY BETTER! No oil lines to install or leak, Won't interfere with airflow through radiator, every time you change your oil & filter your installing a new cooling core, Reduces oil temperature to a safe level. Great for all vehicles Boats, Cars, Trucks, RV's. 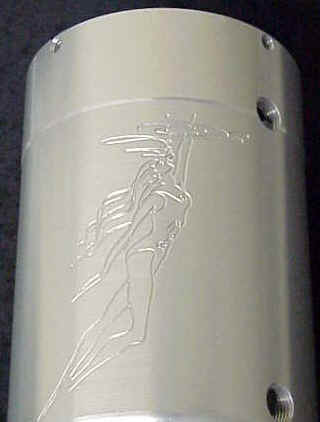 Canisters are CNC machined 6061 aluminum O-Ring sealed, 3-D engraved and anodized for that Hi-tech custom look. fits any 3-11/16" Diameter oil filters. This engine oil adapter bolts to engine block, inside filter boss area allowing remote oil lines to be attached, eliminates stock Chevy bolt-on bypass unit that oil filter normally screws onto, in the case of the older Mark 4 blocks. 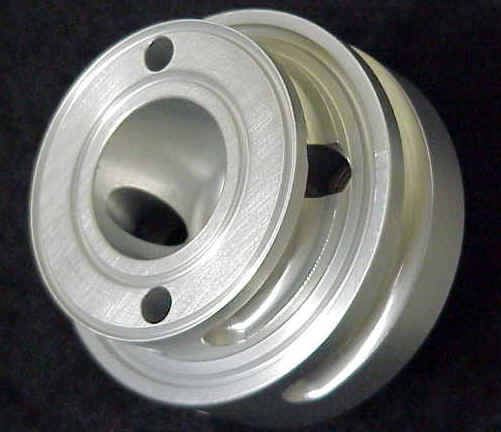 adapter has (2) large 1/2 NPT pipe threads for maximum oil flow. 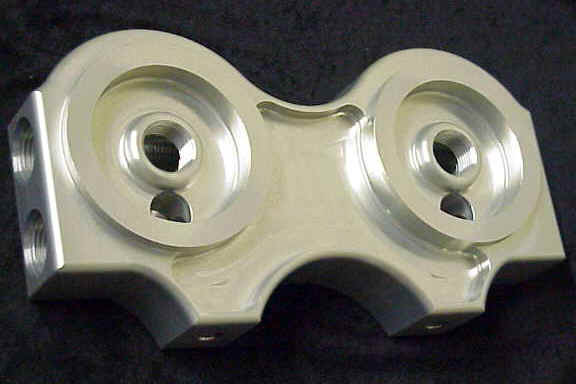 fits both small block & big block Chevy older Mark IV blocks.